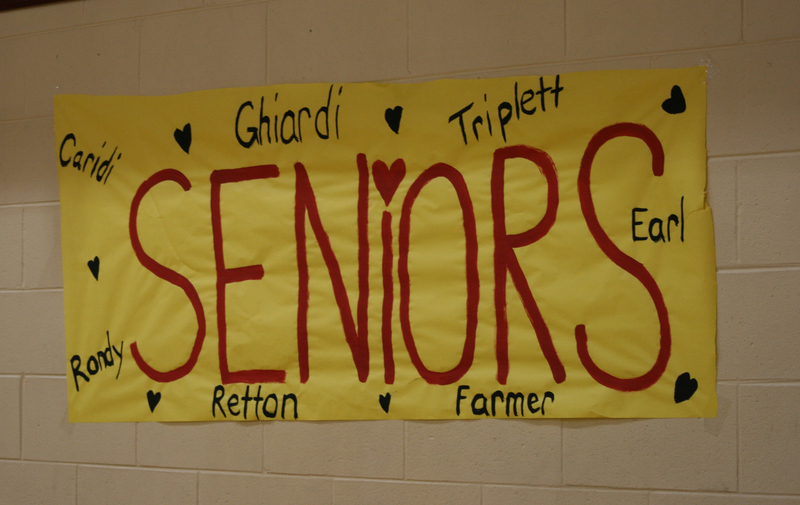 The last week of January started off with a basketball whirlwind! The school hosted three home games in two days, including an afternoon game with our middle school girls’ welcoming the St. Francis team. Following a Trinity victory, the TCS middle school students donated stuffed animals they had collected for the St. Francis’ community outreach to the WVU Children’s Hospital. The assembled teams, students, staff members, and guests then joined together for a word of prayer. It was an apt ending to a month full of learning, caring, and yes, FUN! 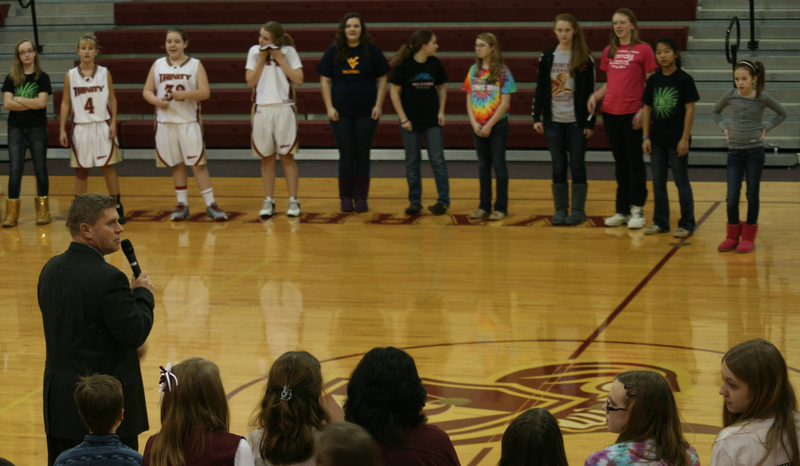 Mr. Howard addresses the middle school students and guests after the Trinity versus St. Francis game. 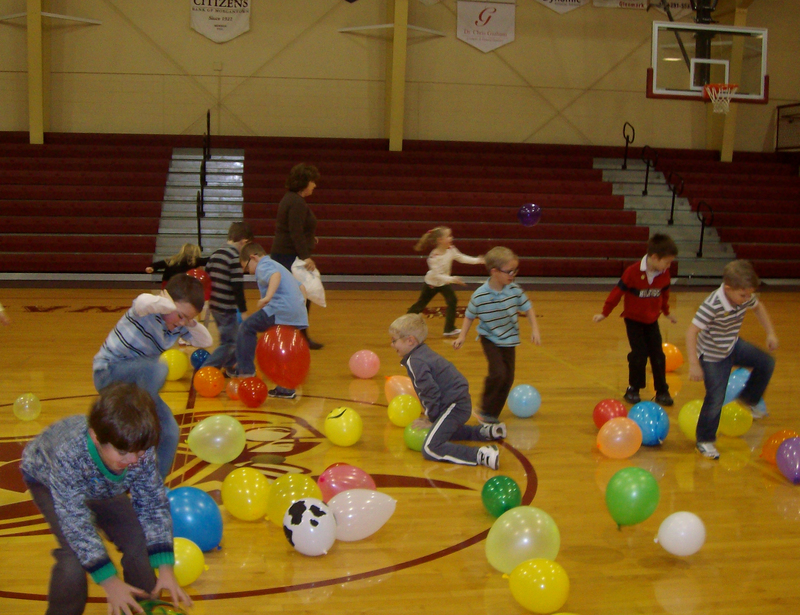 Kindergarten students celebrate the 100th day of school with a balloon stomp. 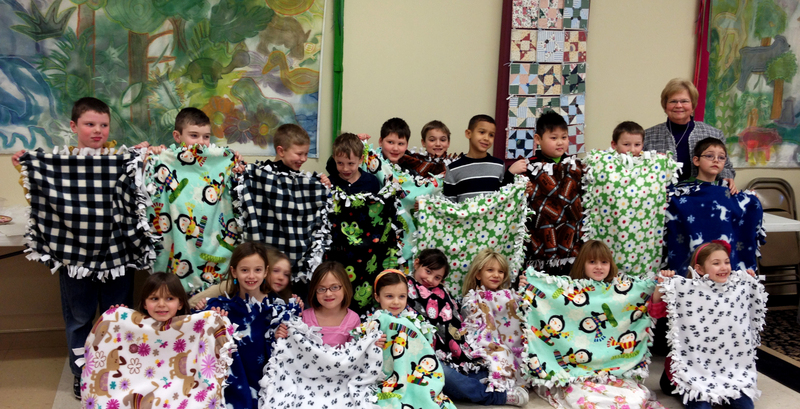 After hand-crafting fleece blankets with the aid of their parents, second grade students gladly pose for a photo. 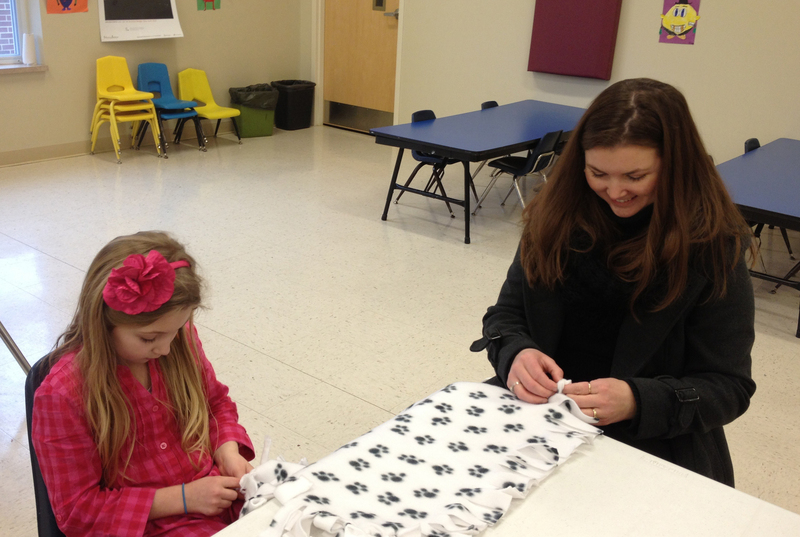 The blankets will be donated to patients at WVU Children’s Hospital. 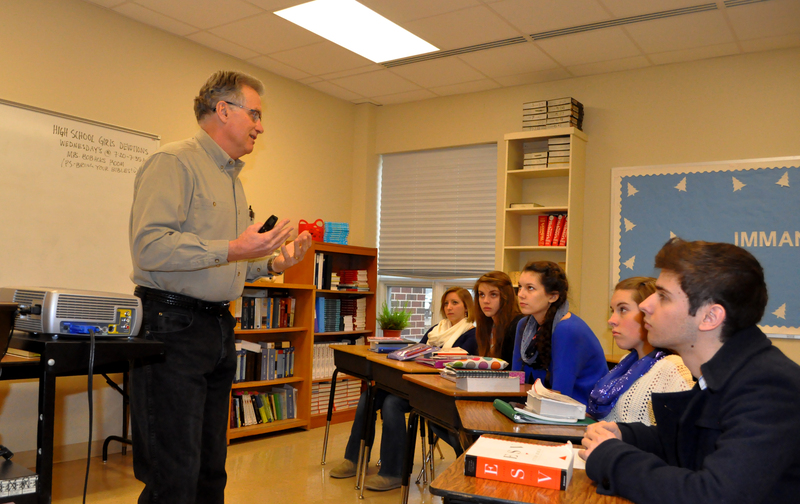 Author and teacher, Ray Vander Laan, shares a lesson with the senior Bible class. 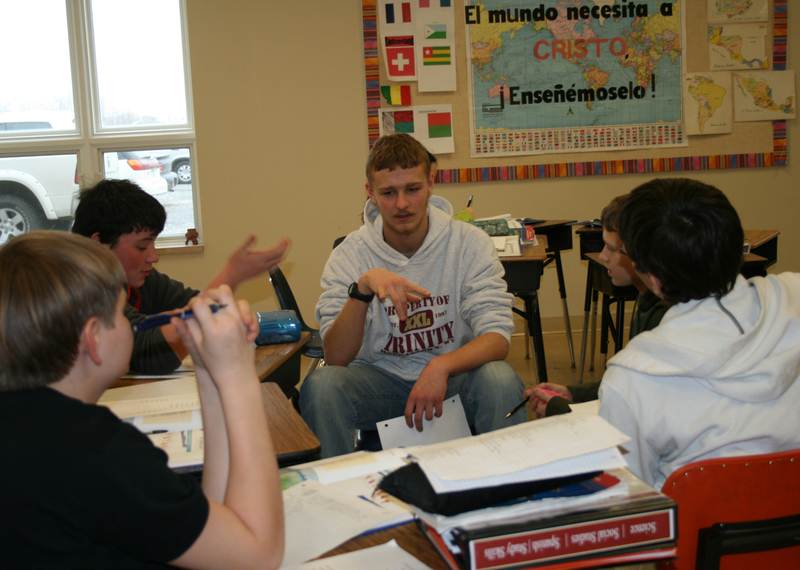 French III students pay a visit to the middle school FLEX (foreign language exploration) class, teaching them the French terms for days of the week and months of the year.